I find it interesting that I have invested a significant amount of time over the last 20 months to creating video content and recently have received several requests for more articles. At first I was I surprised…didn’t think many people read these days…apparently I’m wrong. When given a choice between a video and a written transcript…a lot of folks choose the transcript. Well my reading friends I have created this blog…just for for you! In this post I am going to begin to explore what Source Energy Medicine (SEM) is…and how this FREE self-healing methodology can potentially help you to be able to heal yourself…and yes, that was not a typo…it’s free! You know…my mission is to do my part to help to heal every sentient being on this planet…of course starting with those who are interested in healing…those who are interested in transformation…and exploring our true…what I believe to be unlimited potential and in every aspect of life and in every regard. And you’re right…It’s a HUGE mission…I have a good friend who calls it an epic mission…that always sounds a bit dramatic… and yet…you know I get it…it is monumental. Gosh, if you’re reading this I hope you already know I am Stephen Pollitt, the creator of SEM. I’m excited to have this opportunity to share some very basics of SEM in case you’re not already familiar with it. SEM…is an integrative, self-healing methodology…that is completely safe, universally applicable…by that I mean since I began sharing SEM in 2005 I have yet to find a condition or challenge that is what I would consider to be outside the scope of potential or possibility. One of the main reasons why I offer some of my greatest assets within SEM for free is I fully realize that if I am going to be successful in my mission the fastest way to help the greatest number of people…is to share SEM openly and freely…enabling everyone who is interested in exploring SEM to have access to our technology! Now in sake of transparency…this is not how SEM started back in 2005…in those days we made and sold SEM in 500 ml water bottles…and that’s a story for another day. The short version is…as the scope of my mission came more and more into focus I slowly made changes that have led to where we are today…openly and freely sharing…not only just some parts of our technology but everything you’ll need to not only get started with SEM…but everything that is essential for your entire journey with SEM. 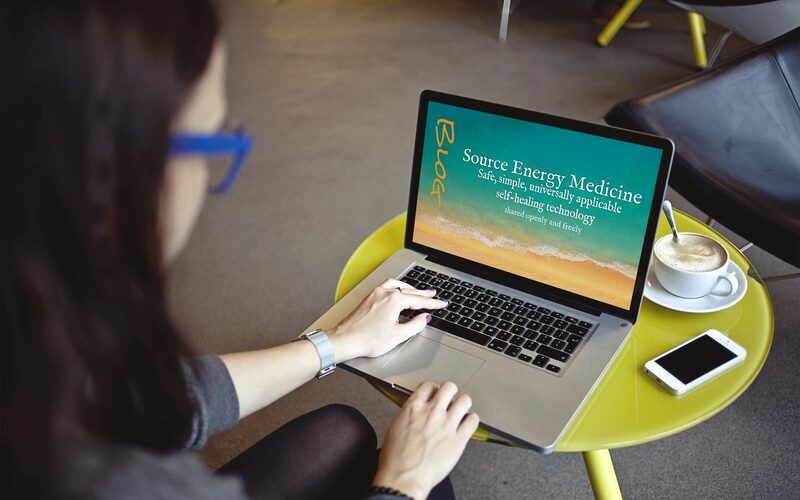 So…whether you’re an integrative wellness practitioner or you’re simply interested in healing yourself and your family…if you’re interested in energy medicine, and a completely natural, safe approach to health, well-being and wellness…then you’re in a great place. If you are looking for ways to transform any area of your life where you’re currently experiencing challenge…you are fortunate to be reading this and it is awesome to be you!..and I am grateful to have the opportunity to share SEM with you today. To support you in getting started…I created a Source Energy Medicine Quick Start Guide (SEM QSG)…and at the end of this blog post…I will share a link with you so that you can get your very own QSG and get started with SEM right away…and I’ll explain more about the QSG in the next blog post…and actually write a series of posts dedicated to the SEM QSG. Back to what is SEM…the large majority of our technology revolves around a series of SEM “Charging” labels…that when applied to bottles of water…structure and charge the molecules with specific frequencies…as we see in the wildly popular photos taken by Dr. Emoto…who was featured in the highly successful film…what the Bleep do we know. Below is a photo of SEM taken at Dr. Emoto’s lab in Tokyo, Japan…it’s water that has been exposed to the SEM charging label – AA 34…which is the Attitude of Allowance of Source Energy. Below is another photo of the same SEM – AA 34…at a different magnification. You know if you’re not familiar with either Dr. Emoto and his work or the film What the Bleep…SEM might be a stretch for you…honestly, before 1995 it was a stretch for me to grasp how it is that water could possibly be used to create an energy medicine. Without Dr. Emoto’s research…it would have been challenging to explain that we are able to structure and charge water molecules with specific information and intentions to help us to heal. I’m sad to say, Dr. Emoto past away on October 17 2014 in a hospital in Tokyo, with his wife Kazuko by his side. According to the information on his website…his last words were “Arigato”. (“Thank you” in Japanese). How perfect! The popular journalist and NY times best selling author Lynn McTaggert interviewed Dr. Rustum Roy, of Penn State University…in that interview he projects that the future of all medicine will be in water…as soon as we figure out how to structure and charge the water molecules with specific frequencies to have positive effects on our bodies. He went on to explain the logic behind his statement…our bodies are mostly made of water so the most efficient way to positively affect our cells and human physiology would be by introducing water based energy medicine. He used an instrument known as Raman Spectroscopy to study water and held a thesis that water is like a recording medium and could hold approximately 50,000 possible different configurations of clustering, structuring and arranging of the molecules. I personally believe that’s a gross understatement…and yet we don’t need 50,000 or even 50 for that matter. The average person exploring SEM takes about 12 different SEM and 3-5 at a time…over the course of about a year. It’s sad to me that both Dr. Emoto and Dr. Roy died without know about SEM. Of all the scientists studying water…I think those two pioneers would have appreciated our technology the most. Still with me? Surely this is stirring something inside you…if you’re an integrative wellness practitioner…you’re likely feeling a lot of excitement and might feel like a kid in a candy store with a pocket full of change. So…I mentioned earlier that included in the SEM QSG is everything you will need on your journey with SEM…I want to keep this post short and choose to not go into the details much further…but if you’re intrigued…I strongly encourage you to click the link provided at the end of this post and sign up for the free SEM QSG…and keep an eye out for the next several blog posts…which will be devoted to a deep dive into the SEM QSG…piece by piece…and with good detail. I do want to mention…included in the SEM QSG is a complete copy of my book Heal Thyself…the complete book and not just a few advanced chapters. Which is over 300 pages it’s written in simple language and a lot people read it in one or two sittings…more great content for you readers! I LOVE you! Not only in Heal Thyself but you will find that throughout all my material I reference the research and writings of many best-selling authors and visionaries. My references include…Dr. Joe Dispenza, Dr. Bruce Lipton, Dr. Emoto, Dr. Wayne Dyer, Deepak Chopra, Marianne Williamson, Greg Braden, Dr. David Hawkins, Lynn McTaggart, Candice Pert, Joel Goldsmith and many others. There’s a how to make how to take SEM Video…which demonstrates the entire process of making SEM and answers many of the most frequently asked questions we received prior to producing the video. I work hard to not overwhelm you with content and materials so between the QSG and these blog posts we’ll have the opportunity to start with the basics and go step by step in small bite sized pieces and end up going deep as well…and at your own pace….you can watch and read at your own pace and revisit any of the content again at any time. So…in the next blog post I’ll offer an overview the entire SEM QSG and expand upon the first and most important piece of content…which is the foundation of SEM technology and that’s the SEM charging label system. Now’s the best time to click the link and sign up for your SEM QSG…there’s also a link included to our FREE SEM community Facebook page…that page is a great way to stay in touch and see what others in our awesome SEM community are up to. That’s all I have for you today…I look forward to sharing the next blog post with you soon! 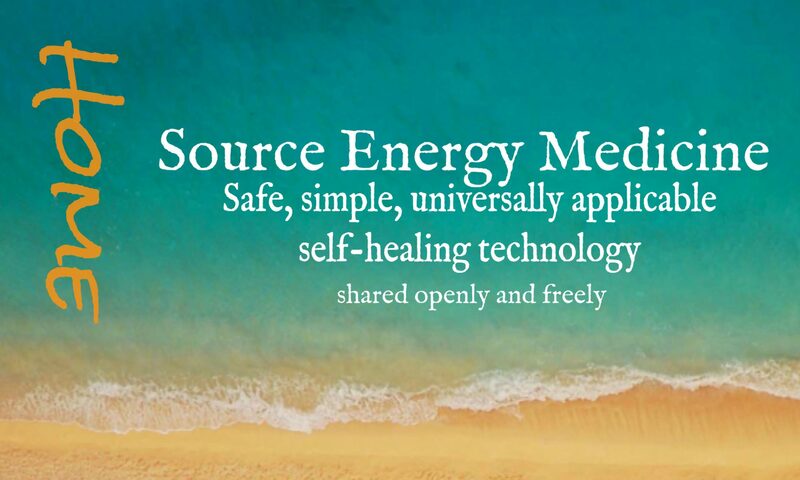 TagsSource Energy Medicine, What is Source Energy Medicine? Previous PostPrevious The new SEM blog…the journey begins!